Santa Clarita Magician serving Los Angeles and surrounding areas. This is NOT your typical magic show - this is a show designed for Cub Scouts. 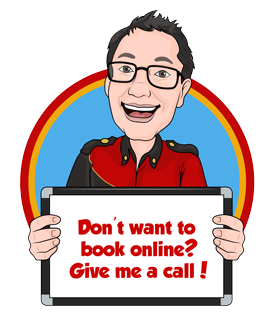 I am a magician and entertainer who is a Scout Leader as well! Through my Cub Scout experience, I have created a fun and unique Cub Scout Magic Show. 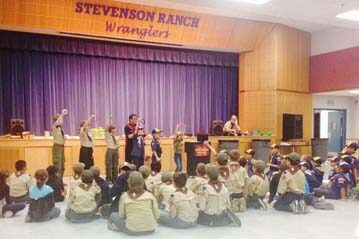 I had the great honor to serve as the Cubmaster for Cub Scout Pack 575 in Santa Clarita. In March of 2017, my son bridged to Boy Scouts. Since his Tiger year, I had a great time being a leader involved in his experience. Because I have a passion for scouting, I understand the culture and speak the language throughout the show. 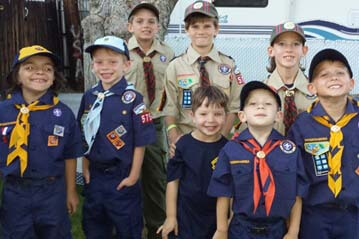 • I include both the Scouts and the leaders. One of the highlights for the Scouts is to have their Cubmaster (or another lucky leader) become the magician's assistant and perform some fantastic and funny magic. • The magic words are “Do Your Best”! • I am certified in Youth Protection and am Cub Scout Leader Trained. • I am fully insured, so no worries when it comes to a local school requirement. • I also offer fun games, including a ridiculous "pie in the leaders' faces" game, which is perfect for fundraiser recognition such as Trails-End popcorn sales. If you are looking for a magic show at your next Pack meeting, Blue & Gold or reward recognition, please contact me. I want to work within your budget to make this happen. What are Cub Scout Leaders Saying? It was such a wonderful show and our Sub scouts really enjoyed it. Thank you very much for the wonderful entertainment you provided. It made our Blue & Gold dinner much more memorable. Brian did an incredible magic show for our Cub Scout pack's Blue & Gold celebration. His show thoroughly entertained the boys and the tricks amazed them. He was funny, engaging, and high energy. I loved how he incorporated scouting themes into his tricks; it really wove together our scouting principals and the delightful entertainment. Highly recommended! Our Cub Scout Blue and Gold theme this year was Scouting is Magic. Brian did an amazing job entertaining our families, ranging from 3yr olds up to grandparents and everyone in between! 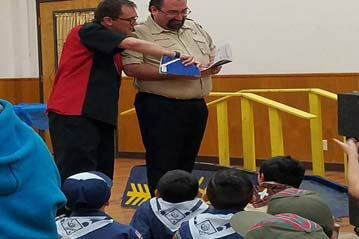 For those who are involved in scouting, Brian has a whole scout related magic show that is very interactive! He was on time, well prepared and brings everything needed to put on a FANTASTIC show! Thank you again Brian for a great night! 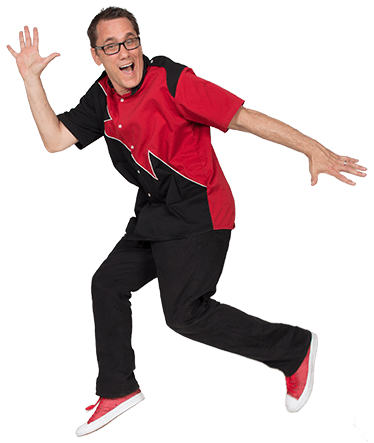 We have seen Brian Magic at various events and he always delivers fun, laughs, and magic. The kids love the show and he understands his audience. He customizes the show to the moment and keeps the audience engaged. Absolutely a 10! Thank you Brian!! I am proud to offer a full money back guarantee. I want you and your family to have a fantastic event.